Presbyterian World Mission works in partnership with the Church of Central Africa Presbyterian. Through partnership with Church of Central Africa, World Mission especially seeks to support training of theological students and strategic church leaders, strengthen work in primary and secondary school education, encourage interventions which combat endemic poverty, and address strategic issues of women and children. Our mission co-workers in Malawi assist and encourage the church in these activities. Our mission coworkers based in Malawi are Tyler Holm, Luta and Jeremy Garbat-Welch, Dr. Martha Sommers, Rev. Dr. Donna Sloan and Janet Guyer. Rev. Paula Cooper is based in Zambia and works in Zambia, Malawi, Kenya and Rwanda. Tyler Holm teaches Biblical Studies and Practical Theology at the University of Livingstonia Faculty of Theology in northern Malawi, where many Church of Central Africa Presbyterian Livingstonia theology students are trained. Read more about Tyler on his profile page. Rev. 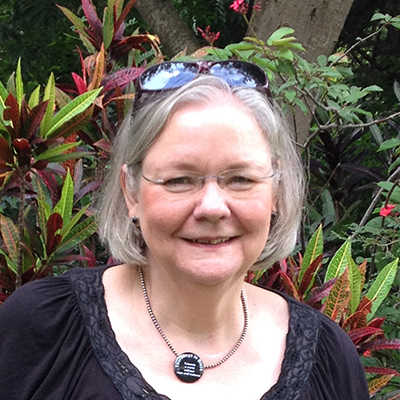 Paula Cooper serves as Regional Liaison for East Central Africa, supporting relationships with partner churches in Zambia, Malawi, Kenya and Rwanda; facilitating partnerships with PC(USA) constituencies; supporting mission co-workers; and handling a variety of administrative responsibilities. Visit her profile page to learn more about her ministry. Jeremy and Luta Garbat-Welch live with their family in Lilongwe, Malawi. Luta works with Church of Central Africa Presbyterian to support implementation of work in community health evangelism in the Synods of Nkhoma and Zambia. Jeremy Garbat-Welch, a clinically trained hospital chaplain, shares his expertise with CCAP as facilitator for CCAP Chaplain Training Program. Visit their profile page to learn more. Janet Guyer also lives in Lilongwe, Malawi and serves as facilitator for women’s and children’s interests in multiple countries. Janet works with leaders of Church of Central Africa Presbyterian, including leaders of women’s guilds, as they engage in strategic planning around common concerns, explore ways of supporting women leaders, and organize solidarity actions and other joint activities. Read more about her ministry on her profile page. Dr. Martha Sommers serves as lecturer and practitioner of family medicine with CCAP Nkhoma Mission Hospital in their new Family Medicine Residency Program which began in 2016. In her role, Martha will assist with teaching and supervising Family Medicine trainees; arrange clinical tutors, training sites, lecturers and supervisors; and help to develop and support a district-wide clinical training program for Nkhoma and Mangochi districts. Read more about her ministry on her profile page. Presbyterian World Mission works in partnership with the Church of Central Africa Presbyterian General Assembly and its three Malawi Synods: Blantyre, Nkhoma and Livingstonia. The Church of Central Africa Presbyterian was established in 1924 through the evangelistic work of Livingstonia Mission of the Free Church of Scotland, Blantyre Mission of the Established Church of Scotland and the Dutch Reformed Church of South Africa (Synod of Cape Town). Today, the Church in Malawi has three million members spread across the entire country. Training pastors to serve their burgeoning congregations is a major emphasis for the church. Congregations consist of prayer houses in multiple geographical locations. In some instances pastors serve multiple congregations. Lay leaders are trained to take responsibility for preaching and pastoral care of members. Pastor to member ratios are as high as one pastor to 7,000 members. Scholarships for theological students are a major challenge at Bachelors, Masters and PhD levels. Each Church of Central Africa Presbyterian synod operates with extensive autonomy, conducting holistic ministry through the departments, operating schools, treating children living with AIDS, providing care for orphans and vulnerable children. The Synods are Blantyre, Nkhoma and Livingstonia. Each one has a hospital; Livingstonia has three. Public health work is increasingly recognized as an important emphasis to prevent disease and improve quality of life. Zomba Theological College, established in 1977, is the historical CCAP institution for training theological students, and it continues to serve all three Malawi synods. More recently, CCAP Livingstonia has established the Faculty of Theology at the University of Livingstonia, and Josophat Mwale Faculty of Theology trains students from CCAP Nkhoma. Additional areas of emphasis include evangelism, ensuring training and support for the synod-wide Women’s Guilds and addressing challenges in society through Church and Society departments. The General Assembly of the Church of Central Africa Presbyterian was reconstituted in December 2013 after a seven year suspension. The Office of the General Assembly is especially focused on strengthening the work of the CCAP Synods in Malawi, Zambia and Zimbabwe in the areas of Education, Youth, and Church and Society. Join the Malawi Mission Network, one of more than 40 networks that connect Presbyterians who share a common mission interest. Most participants are involved in mission partnerships through congregations, presbyteries or synods. Network members come together to coordinate efforts, share best practices and develop strategies. Contact Malawi Mission Network Convener Doug Kee at jdkee@wowway.com for date and location of the next Malawi Mission Network Conference. Consider developing a partnership with a congregation or institution of one of the Malawi Church of Central Africa Presbyterian Synods in keeping with the interest of your congregation. Experience transformation of your own congregation as you witness the incredible faith of folks praising God in the face of poverty, disease and death. Contact Nancy Collins at nancy.collins@pcusa.org for more information. Support a mission co-worker in Malawi. Make a contribution to any of the following accounts. To support the work of Luta and Jeremy Garbat-Welch, please make a gift to E200515. Congregations can designate gifts for Luta and Jeremy’s Directed Mission Support to account D507577. To support Tyler Holm’s work, please make a gift to E200532. Congregations can designate gifts for Tyler’s Directed Mission Support to account D507572.